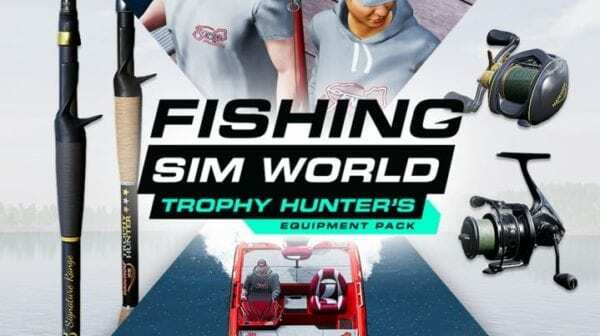 The Trophy Hunter’s Equipment Pack will feature over 30 items of licensed equipment from well known brands, including Haichou bass fishing rods and reels, and the new Stunner reels from Fitzgerald Fishing. Anglers will also be able to kit themselves out with a range of lures and clothing from Jenko Fishing. This latest DLC also features three new floats and five different types of baits that players can use on the European venues, including Link and Essential Cell boilies from Mainline Baits, Sea Monster from Baitworks and imitation snails and luncheon meat from Enterprise Tackle. Players will also have access to a brand new Puma boat from Bass Cat Boats which is equipped with Evinrude engine to allow for quicker travelling. And, if you want to change the design, there are four stylish boat wraps from Duckett Fishing, Missile Baits, Bill Lewis and RidgeMonkey to choose from. The Trophy Hunter’s Equipment Pack is available now on PC, Xbox One and PS4.